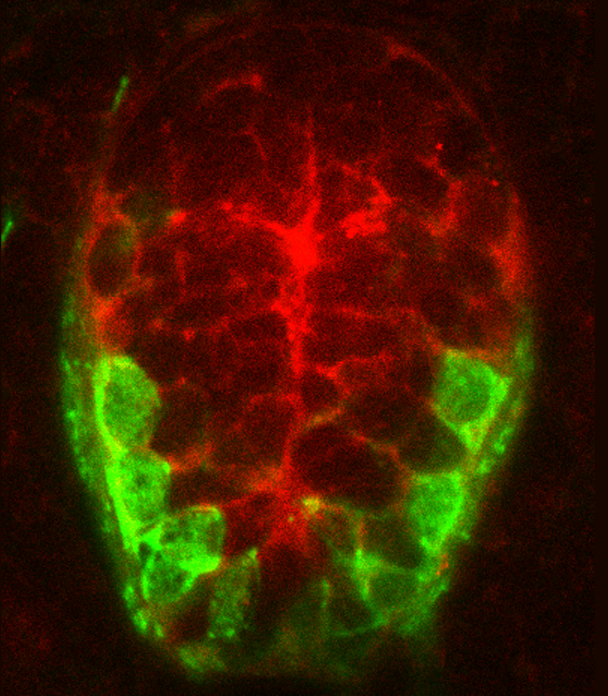 Confocal image of cross sectional view of a transgenic zebrafish spinal cord at 48 hours post-fertilization. Green fluorescent protein is expressed in a discreet population of spinal cord cells, motor neurons. This tissue has also been stained to reveal the expression of a glutamate transporter, shown in red.